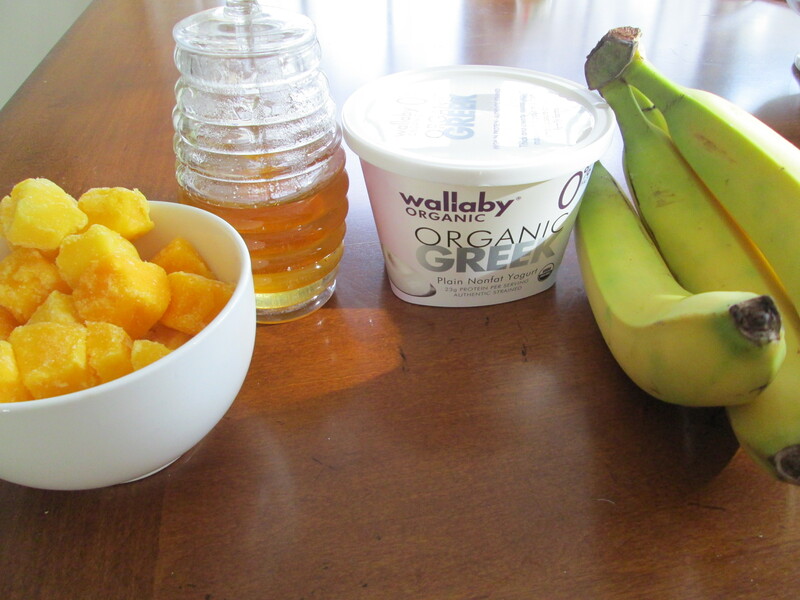 Growling Tummy – It's time to eat! If I could jump into this soup, float on a carrot and munch on a piece of hearty rice, I would. It is that good. A wonderfully creamy base with tender chicken, yummy veggies and earthy wild rice pull this soup into another stratosphere. Out. of. this. world. 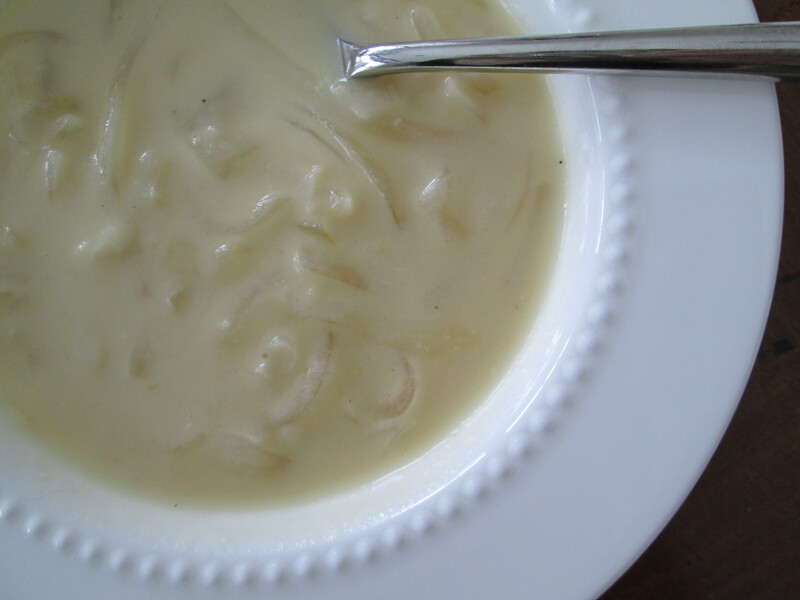 On a snowy, wintry day it does everything a soup should do. It warms, comforts, and makes you want to snuggle by a fire. With a bowl and a spoon. Notes: You can find wild rice at Trader Joe’s. I usually pick up a rotisserie chicken, but feel free to bake or poach a few chicken breasts. Cook wild rice in the 4 cups of water for 40 minutes or until light and fluffy. Drain and set aside. In a large dutch oven add olive oil, onion, carrots and celery. Cook until softened, about 3-5 minutes. Add flour and cook for another 2-3 minutes. Pour in chicken stock or brother and bring to a boil. Add cooked chicken, salt and pepper to taste. Reduce heat and simmer for about 10 minutes. Add cooked wild rice and half and half. Bring soup back up to a boil and allow it to heat through. Turn off heat and stir in chopped parsley. Ladle into large bowls and enjoy! I went to a kickboxing class and thought I was on candid camera or the instructor had a serious mental condition, especially when the lights went off, the blacklights went on and the disco ball started spinning. Is that supposed to distract you from the fact you are working out? There were so many sudden jumps, jumping jacks, kicks, turns, picking up of pretend balls that I laughed out loud. Never in my life have I laughed out loud in a group work out class. It was to the point where I said “are you kidding me?” Everyone in the class was basically whimpering and the instructor was still goin’ strong. At the 55 minute mark I started to wonder if I had my info wrong. It was supposed to be an hour long class and there was no way this jumping freak was stopping anytime soon. Apparently the instructor wanted to go for 90 minutes. What got me through was thinking about a mango smoothie. I have been making this recipe daily and suddenly realized it should be here. 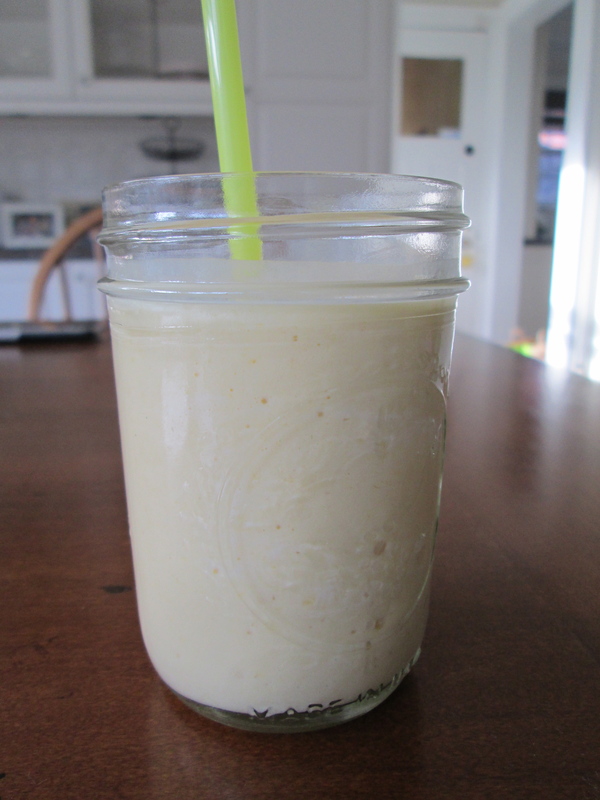 Mangos are naturally luscious and creamy, making them the perfect base for any smoothie. Add in some bananas, yogurt, a little juice of your choice, and you have the most gratifying treat because every ounce is good for you. There is nothing better after exercise from hell. Get your blender. Run. Go. I am not kidding when I say wanted to open a smoothie store after tasting this smoothie. Instead, I am going to share it with you. It’s so pure and simple, you’ll wonder why you haven’t thought of combining the ingredients before, but maybe you have and if that is the case, I applaud you. Place all ingredients in a blender and whip until smooth. Pour into a glass, add a straw, sit back and enjoy. Is it opposites day? Because we are baking cakes backwards and flipping them upside down, and doing all kinds of crazy stuff. But more on that later. You know how some things are too sweet in a good way? Like puppies nuzzling babies, a full night’s sleep when you have a child, or an 80 degree day in Michigan in April (wishful thinking)? Well, these little cakes are right up there with all that good stuff. I like a good old-fashioned dessert as much as any nostalgic foodie, however, I love a fun twist. And anything miniature. 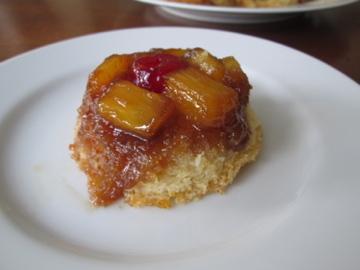 Pineapple Upside Down Cake (named because you flip it over after baking, so no, it is not opposites day – sorry!) is yellow cake doused with caramel sauce and dotted with pineapple pieces and maraschino cherries. It leads you to beg questions such as why isn’t everything doused with caramel sauce? Or is there any better way to pretend to eat fruit? These mini versions of the original are really just a safety mechanism to ensure everyone gets a cherry. Take a deep breath; you will get a cherry. Glossy and sparkly, perfectly sized and sweet, they are sure to brighten even sunny afternoons a notch more. Preheat oven to 350° degrees. Grease 2 cupcake pans with non-stick spray. Melt the butter in a heavy-bottomed medium pot. Add the brown sugar and stir over medium heat for 2 minutes. Remove from heat. Drop 2 to 3 teaspoons of sugar mixture into each cupcake section, making sure the bottom is just covered. 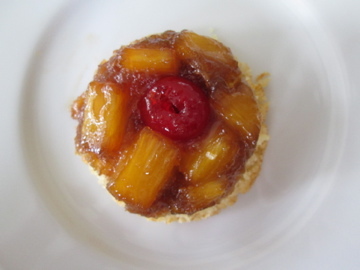 Place a few pieces pineapple and one cherry in each section on top of caramel. Set aside. In a small bowl, sift together flour, baking powder and salt. In a large bowl, beat the butter with an electric mixer. Gradually add the sugar and beat until light and fluffy. Add in eggs one at a time, beating well after each addition. Add vanilla and mix until combined. Add half of the flour mixture and beat on low until blended. Do not overbeat. 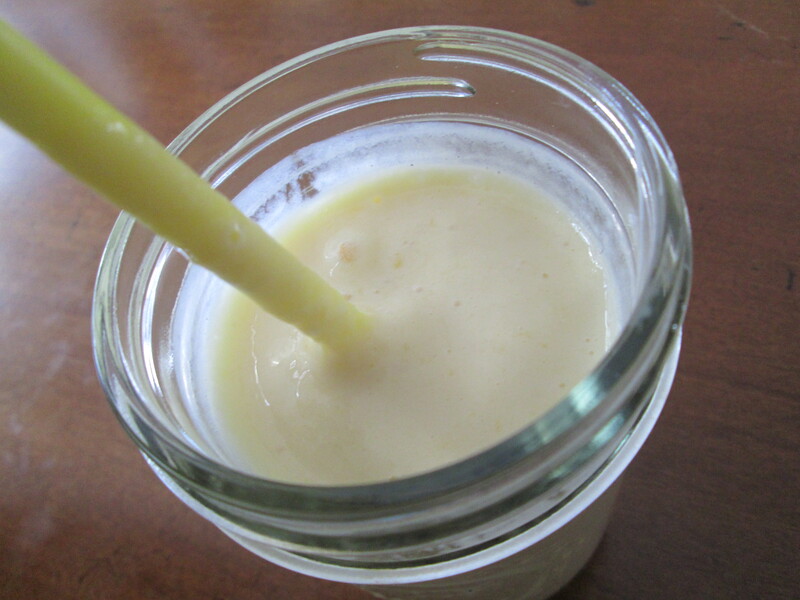 Add in pineapple juice, then remaining flour and mix until just blended. 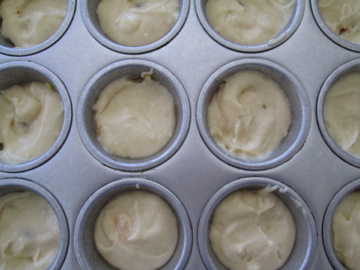 Divide into cupcake pans on top of sugar mixture. It is easiest to use a tablespoon and go sparingly first, to make sure you have enough to go around. You may come up 2 or 3 cupcakes short. Bake for 20 minutes or until a cake tester comes out clean. Let cakes stand in pans 3 minutes before inverting onto a large platter or cookie sheet. Serve warm or at room temperature. Save any remaining cakes in the refrigerator but bring to room temperature before serving. I’m back! After moving not once, but twice in the past year, I am happy to say we are home sweet home in Michigan. We are not completely settled yet, but we are getting there. 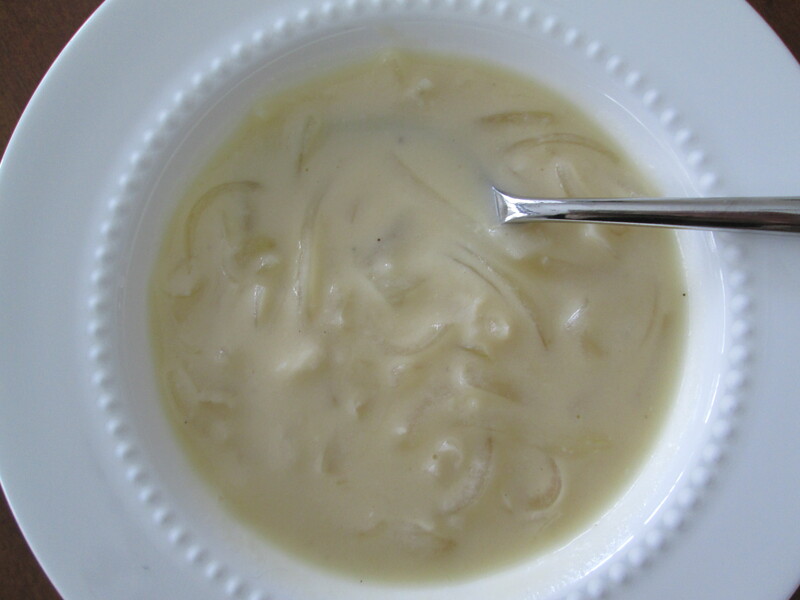 While organizing my cookbooks and going through some new acquisitions, I came across a swiss cheese and onion soup. Since I love french onion soup, there was really nothing to doubt in the ingredient list. I’m currently on my second batch. If your weather is anything like it is here (snowing…cold…), a bowl of warm, rich, smooth soup is the perfect thing. I’ve also decided in terms of savory recipes, there is nothing better than the scent of onions sauteing in butter. It fills the entire house with an aroma letting you know something good is coming. I was shocked at just how good that something was. The cheese melts velvety smooth and weaves in with the onions perfectly. The mix of sherry, tamari and worcestershire sauce brings it all together. Heat two tablespoons of the butter in a saucepan. Add garlic, onion, mustard and salt. Saute until tender. Add stock or broth. Cover and simmer over low heat. Meanwhile, in a separate saucepan melt remaining 3 tablespoons of butter. Add in the flour and cook, whisking over low heat for one minute. Reduce heat and add milk. Cook, whisking until thick and rich-looking, five to eight minutes. Add sherry and cheeses and stir to combine until smooth. Add cheese sauce to onions and mix thoroughly. Add pepper, tamari, hot sauce and worcestershire sauce. Cook over low heat for 8 to 10 minutes, stirring occasionally. Salt and pepper to taste. Ladle into bowls and serve. I was remembering the good ol’ days this past week, when I would open the fridge and find a chocolate pudding waiting there for me, complete with a maraschino cherry in the bottom. That was how my mom made pudding special. I couldn’t wait to get through all the chocolate to find the cherry. 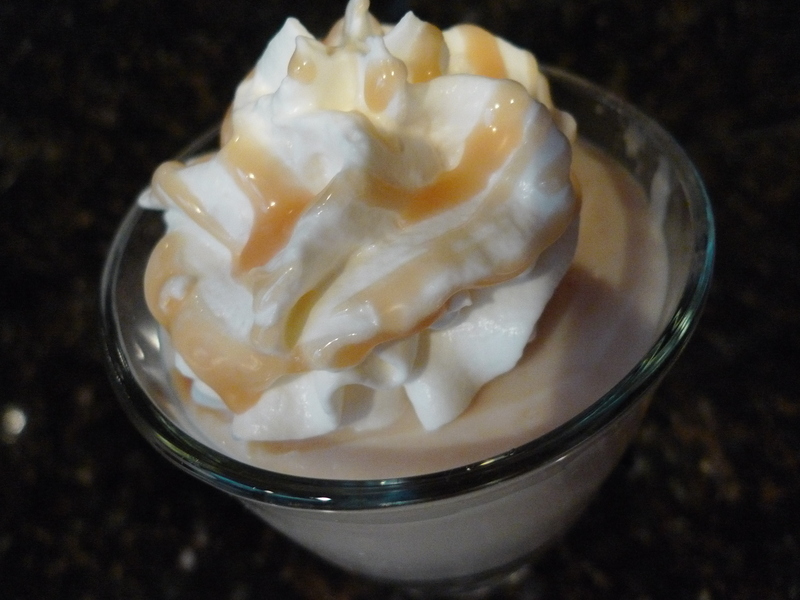 Since I’ve been having this love affair with salted caramel for the past year, I thought it was time to make a salted caramel pudding, something Jello-O can’t do better than me. Let me give you a tip – don’t use skim, 1%, 2% or anything other than WHOLE MILK. You need the real deal, or your pudding will not be pudding. It will be milk. It will not thicken. Also, if you buy one ridiculous pantry item, let it be fleur de sel. I’ve found more uses for this salt than any other ingredient I have ever used. This concoction is lick-the-bowl delicious and something you should definitely savor, but I would be lying if I said I worked through it any slower than in my childhood, trying to get to that cherry on the bottom [still]. Make this now and thank me later. To make the caramel sauce, stir sugar and water just until combined in a heavy bottomed small saucepan over medium heat. Stop stirring, and heat to a boil. 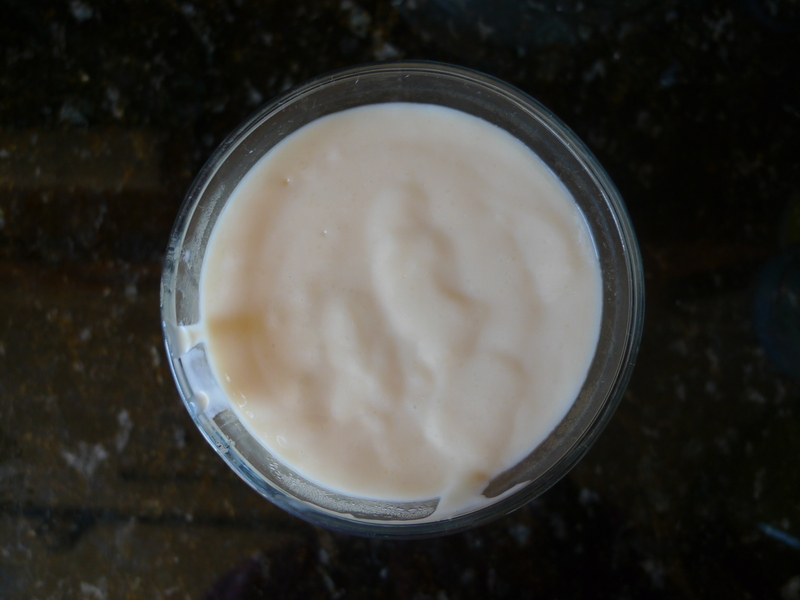 Watch carefully until the mixture turns to a golden/amber color, remove from heat and stir in whipping cream. Once combined, place over low heat to make sure everything is liquid and there are no sugar chunks. Remove from heat and stir in butter and salt until combined. Transfer to a bowl to cool. 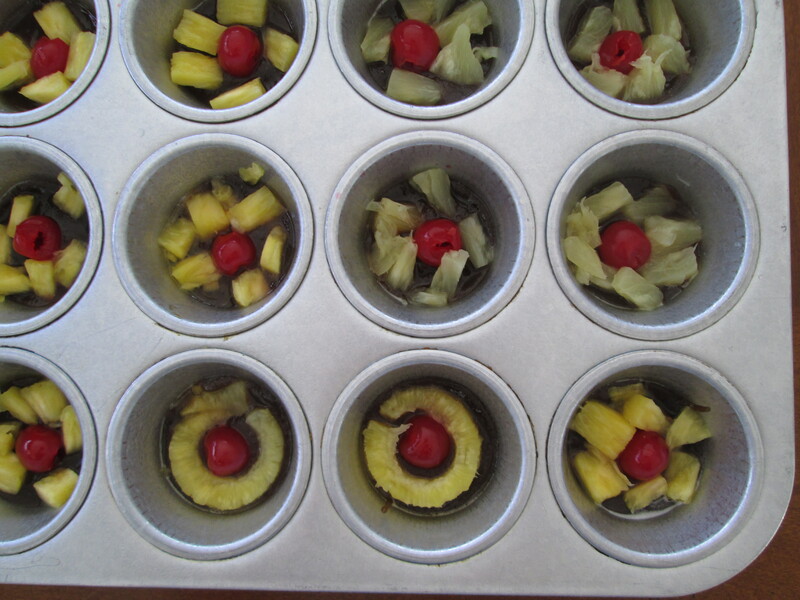 One cup will go into the pudding, reserve the rest for garnish (or ice cream). Place one maraschino cherry into each of 4 individual serving dishes (you may need more or less serving dishes, depending on the size). 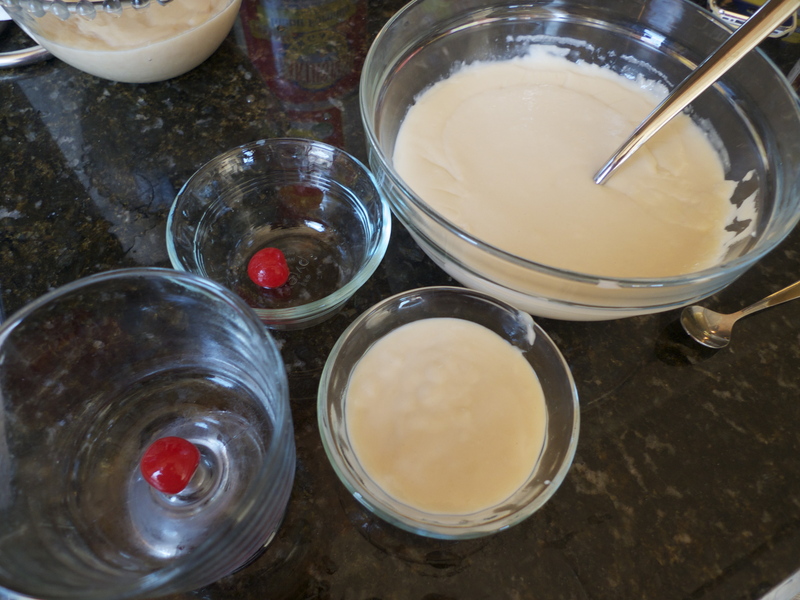 To make the pudding, combine cornstarch and milk in a double boiler or heavy bottomed medium saucepan. Place over medium heat and stir using a heat proof rubber spatula (or whisk) to break up any globs. Mixture will thicken after 15 to 20 minutes. Once milk coats the back of a spoon, add 1 cup of the caramel sauce and stir. Once mixture is thickened, just another few minutes, transfer to a bowl. At this point, you can process through a sieve to get rid of any lumps. Pour into individual serving dishes and refrigerate for at least 30 minutes to 1 hour. Garnish with whipped cream (I’m partial to ready whip with pudding…it’s a childhood memory thing), a drizzle of the reserved caramel sauce, and a sprinkle of fleur de sel. I think my family is like many others that fell into the usual pitfalls of the 80s and 90s. We went to Pizza Hut and it wasn’t healthy. I would be lying if I said I loved the pizza there. I would even be lying if I said I was excited to go there for the pizza. I used to love the salad bar. No, not for the lettuce (that would be weird) or typical salad bar fare. I loved the macaroni salad. 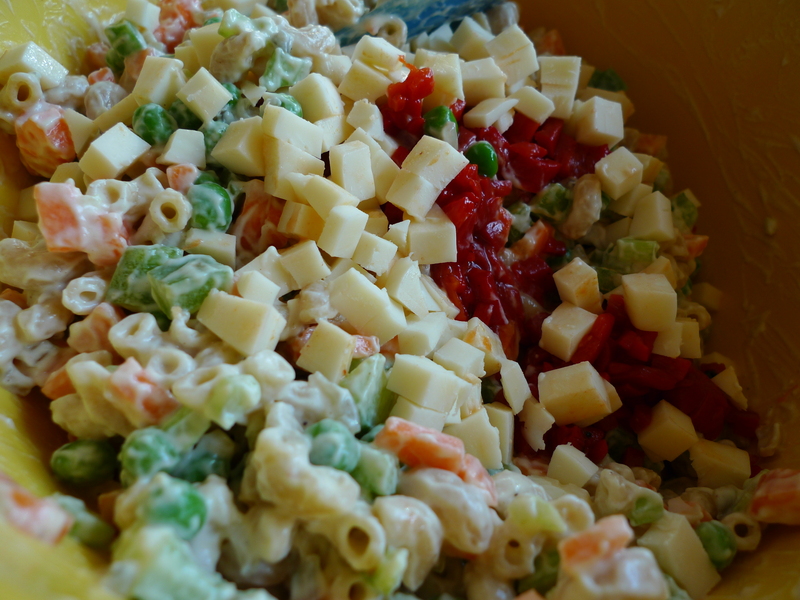 Fast forward to today, the thought of eating macaroni salad from a salad bar or even a grocery store makes me cringe. Thankfully, I have found a great recipe. It has less fat (the grocery store variety has 19 grams per serving!) and you know the few ingredients. 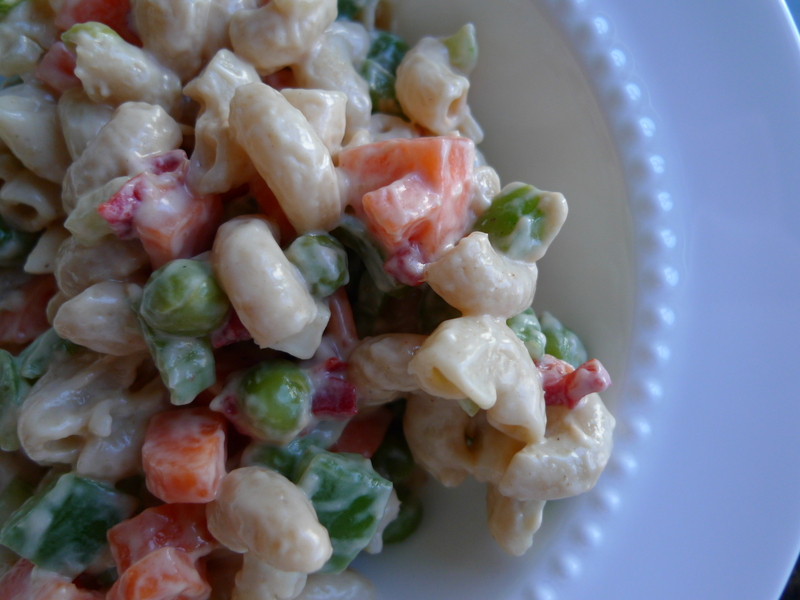 Hopefully there are others out there like me who like macaroni salad and are brave enough to admit it. Cook macaroni according to package directions. Drain, rinse in cold water and set aside. Combine first 6 ingredients in a large bowl. Stir well. Add macaroni and remaining ingredients. Toss well to coat. Cover and chill at least 1 hour. I did make a new years resolution, and I think I may actually be keeping it. I pledged to cook one vegetarian meal a week. Perhaps there was a week or two when this didn’t happen, but I thought about it and I researched vegetarian meals. In my opinion that counts. I love Mexican food. I love sweet potatoes. What could be better than a recipe that combines both? This is a multi-step recipe, however some of it can be made ahead of time. 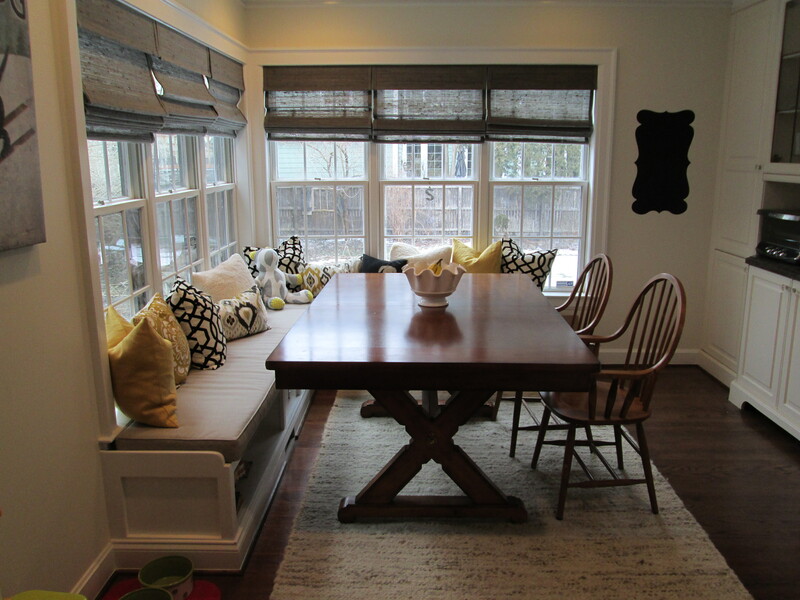 This way, you won’t feel as though you are spending hours in the kitchen. When you want to pull the recipe together, it doesn’t take very long and baking time is short. To make the sauce, bring all ingredients to a simmer in a medium saucepan over medium heat. Whisk to combine, then remove from heat. To make the filling, heat olive oil in a large dutch oven over medium heat. Add onion and sauté for a few minutes. Add sweet potatoes and sauté for a few additional minutes. Add tomatoes, salsa, garlic, chipotle chile, and 1/2 cup water. Bring to a boil. 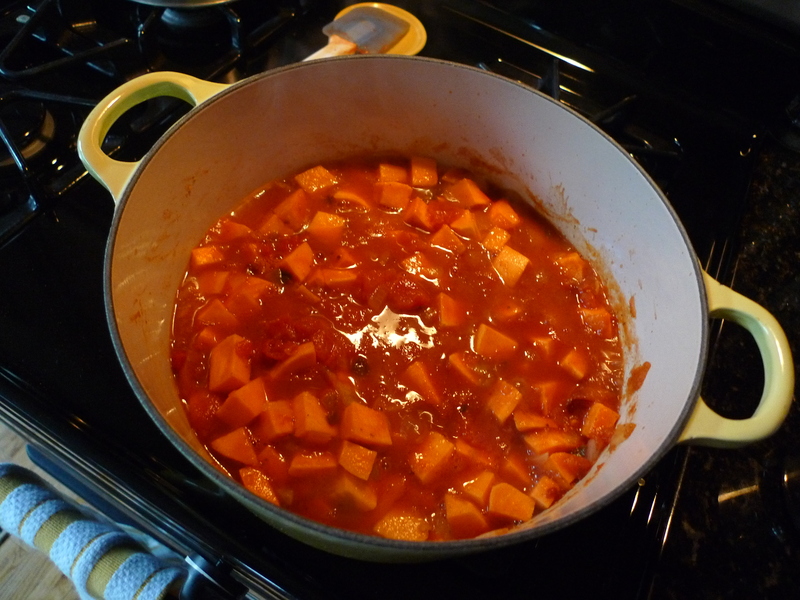 Reduce heat and simmer for 40 minutes, or until sweet potatoes are soft. Mash filling with a potato masher or the back of a wooden spoon until combined. Add black beans and cook for 5 minutes. Stir in half of the queso fresco and remove from heat. You can set this mixture and the sauce aside or in the refrigerator until you are ready to assemble enchiladas. To assemble enchiladas, preheat oven to 350 degrees. Spray a 13″ by 9″ baking dish with non-stick cooking spray. Spread 1/3 of the sauce in the bottom of the dish. 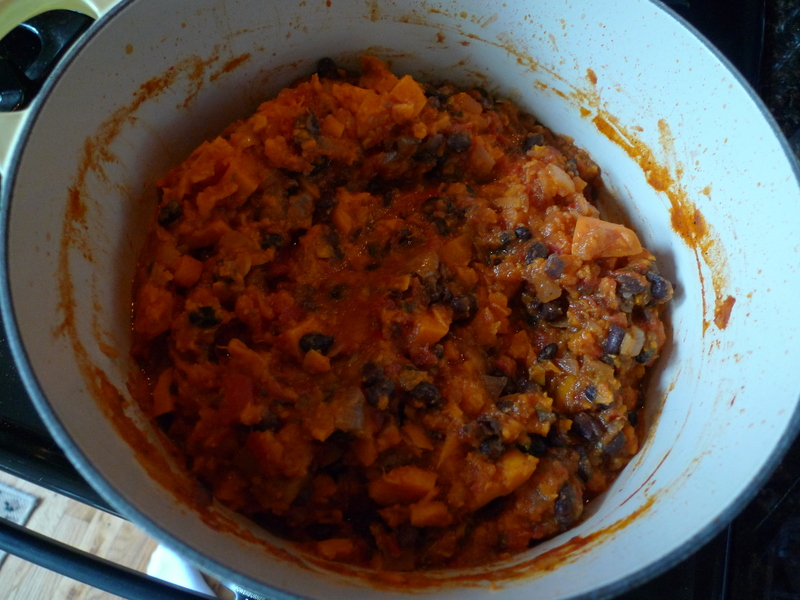 Fill tortillas with the sweet potato-bean mixture. Roll and set seam side down very close together in the baking dish. 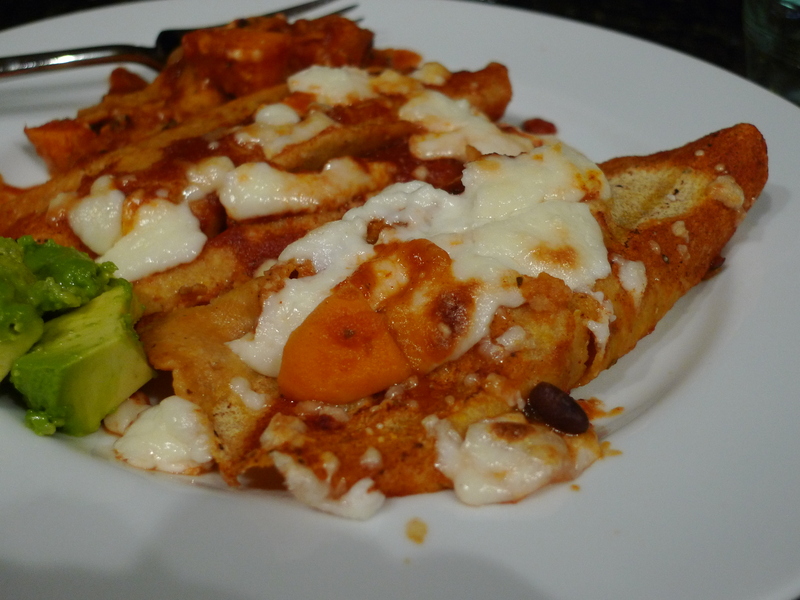 Top with remaining Sauce and queso fresco. Bake for 15 minutes. 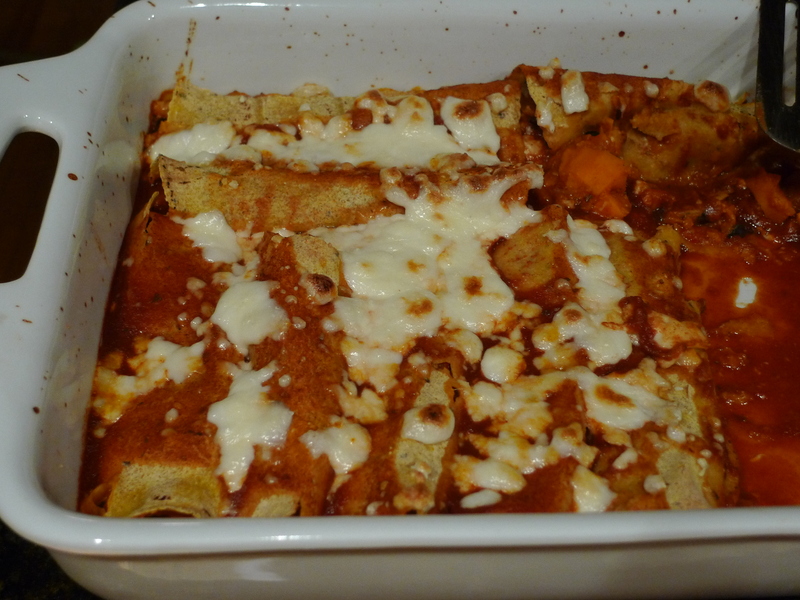 Set oven to broil and leave enchiladas in for 5 minutes, or until cheese is browned. 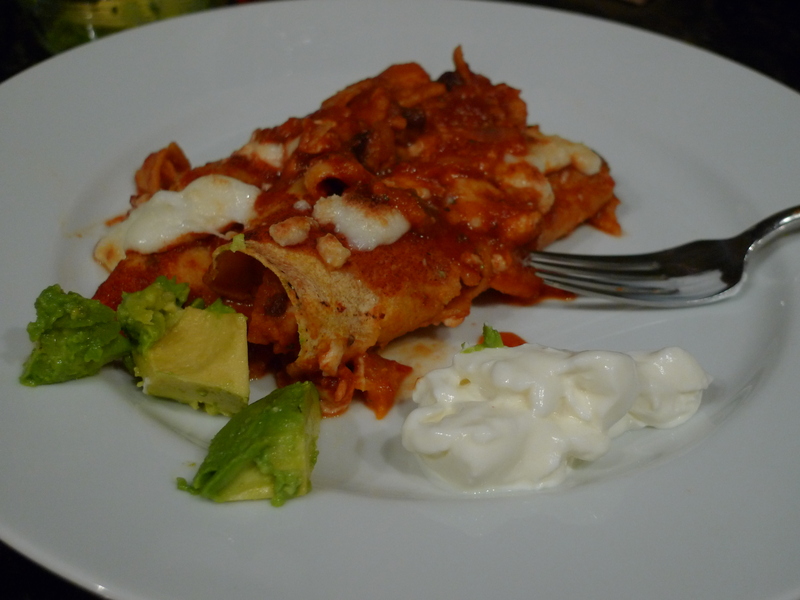 Remove and let enchiladas rest for about 10 minutes. Serve with sour cream and avocado slices.